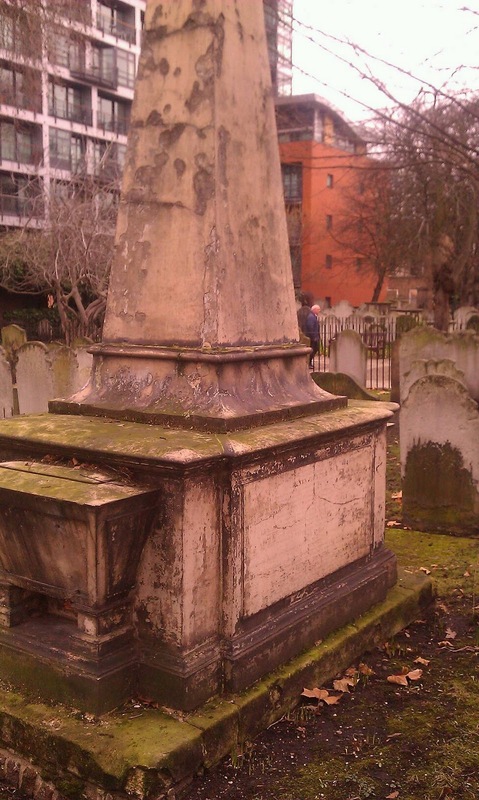 One of my favourite places in London is Bunhill Fields, just off the City Road, just a few minutes walk from my work, and my favourite place to have a wander at lunchtime. There are a few "celebrities" in there. But my favourite memorial of all is a different one. Yes, it's quite large and prominent. But it's dedicated to somebody called Henry Hunter. 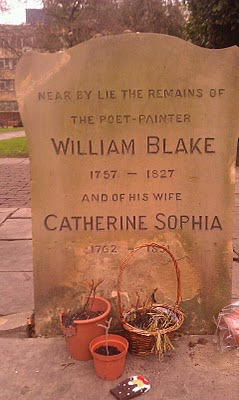 The epitaph is quite brilliant - so much so that I had to copy it out in full. 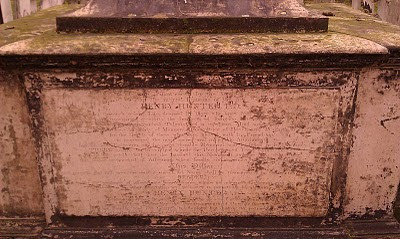 Beneath this Pillar, raised by the hand of Friendship sleep the mortal remains of the Rev. HENRY HUNTER D.D. who through a long Life deemed by those who knew him alas too short, served with unwearied assiduity the Interests of Religion, Literature and the Poor. In him to distinguished Talents and a capacious Mind were united Energy of Disposition, Affability of Manners, Benevolence of Heart, and Warmth of Affection. In the Hearts of those who were blessed with his Friendship is preserved the most sacred and inviolable Attachment but his best Eulogium and his most durable memorial will be found in his Writings. THERE he has an Inscription which the Revolution of Years cannot efface. When the nettle shall skirt the base of this Monument and the moss obliterate this feeble testimonial of Affection, when finally sinking under the pressure of years, THIS PILLAR shall tremble and fall over the dust it covers his Name shall be transmitted to Generations unborn. READER! Thus far suffer the weakness of affectionate Remembrance where no adequate Eulogium can be pronounced and when no other Inscription was necessary to perpetuate his Memory than HENRY HUNTER. 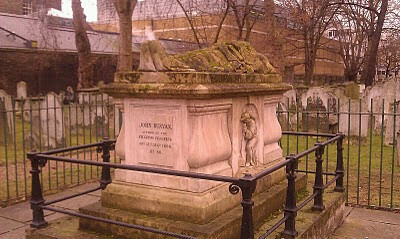 Thirty one years he was Pastor of the Scots Church London (...) and on Wednesday the twenty seventh of October 1802 left his Family and his Church to deplore but never to retrieve his loss and silently took his flight to Heaven in the sixty second year of his Age. They don't make 'em like that any more, do they! 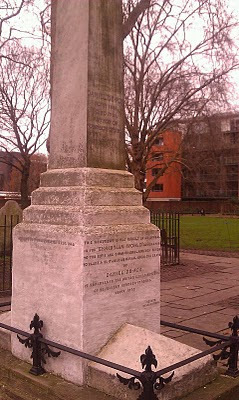 Saddest of all is the fact that most of the office workers are oblivious to the charms of Bunhill Fields - it's simply a shortcut to Pret. Shame on them for not even turning their heads.